Iowa has a lot of famous and interesting people who got their start in small rural towns before making it big. But a lot of the people of the past don’t come up in regular café conversation and aren’t mentioned in our school textbooks – a real shame considering how unique and fascinating their lives were. 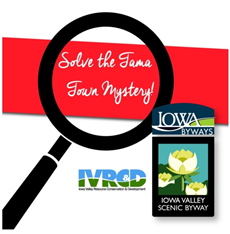 This summer, for ten weeks, Iowa Valley RC&D invites you to participate in the Tama Town Mystery for a chance to learn about one fascinating person from the past who shouldn’t be forgotten. 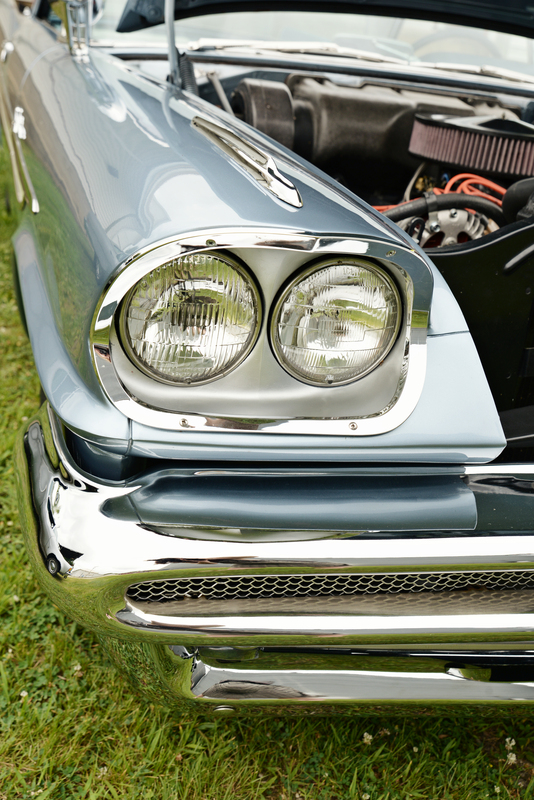 The Tama Town Mystery takes place along the Iowa Valley Scenic Byway and will have participants traveling to the four Tama County towns of Montour, Tama, Toledo and Chelsea. There are ten clues to find, each one posted at a different town business. The mystery is solved when the person can be identified. Participants who solve the mystery can submit their answer and contact information for a chance to win one of three $50 cash prizes and an overnight murder mystery package at Chelsea’s Periwinkle Place Manor. 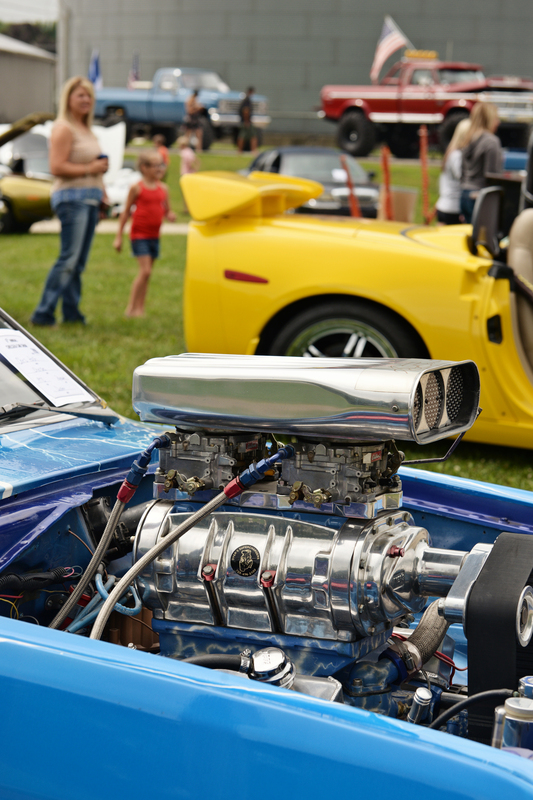 Bopp says that the mystery alone is worth the driving and sleuthing, but a benefit is also getting a chance to explore four small Iowa towns, the scenic byway, and a summer Iowa landscape. Each clue gives one detail about this famous person. You can read the clues in any order. There is no purchase necessary to participate. Only one entry per person. Once the mystery has been solved, answers and contact information can be emailed to Iowa Valley Scenic Byway Coordinator Dora Bopp at dora@ivrcd.org by Sun. Sept. 27th to be entered into the drawing. Four winners will be selected on Sept. 28th for three $50 cash prizes and an overnight murder mystery package for two at Periwinkle Place Manor. The murder mystery package for two includes a four-course meal, murder mystery, after party with music, overnight stay and breakfast. 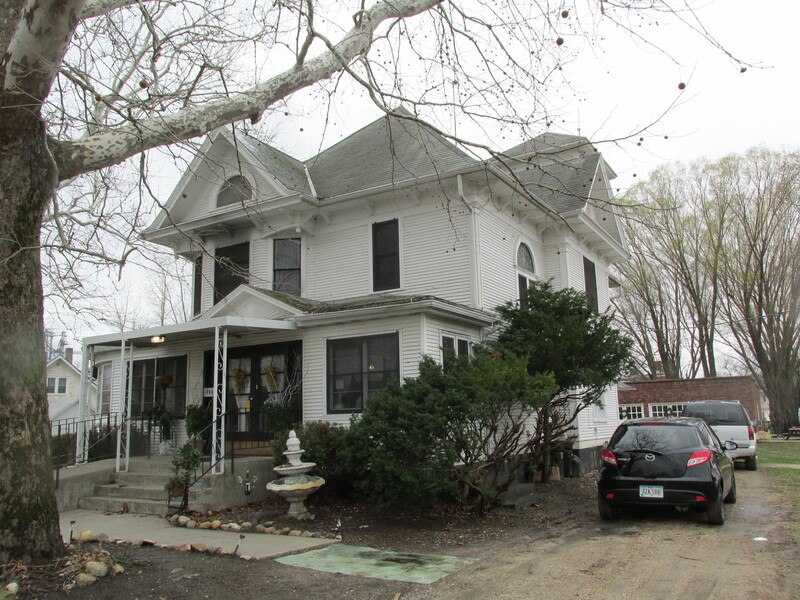 Funds were provided by participating Tama County businesses and the Tama County Community Foundation. For additional information visit www.ivrcd.org or contact Dora Bopp at dora@ivrcd.org or 319.622.3264. Please share with your family, friends and post on Facebook! For more information about how to get started on the Tama Town Mystery visit Iowa Valley RC&D’s website www.ivrcd.org. Chelsea is having its annual Rocky Mountain Oyster Festival this Saturday, February 7, 2015, from 5:00 p.m. to 9:00 p.m. at the Community Hall, 103 Dudley Street, in Chelsea. They will be serving all-you-can-eat rocky mountain oysters, fish, beans, chips, and bread – carryouts are available. There will also be a raffle. Can’t make it this Saturday? Vining will be having it’s annual Rocky Mountain Oyster Festival next Friday, February 13, 2015, at 5:00 p.m. at the CSA Hall on Main Street in Vining. Serving rocky mountain oysters, fish, baked beans, chips, and drinks. There will be games, raffles, and door prizes.